Home About Universe Aliens Astrobiology Astronomy Astronomy Picture of The Day Beginners Gallery Info Infographics Missions NASA Planets Scientists Search for life Solar System Space Exploration Technology New Horizons' Latest Image Shows Pluto's "Heart"
New Horizons spacecraft is back in action after a little glitch — and the spacecraft’s up-to-date picture discloses a surface feature that has a characteristically heart-like figure. NASA has also issued an updated map of Pluto, displaying two surface features that have been called the “whale” and “donut.” The first image was received by NASA was couple of days ago. New Horizons was just merely 5 million miles (8 million km) away from Pluto when the image was taken. 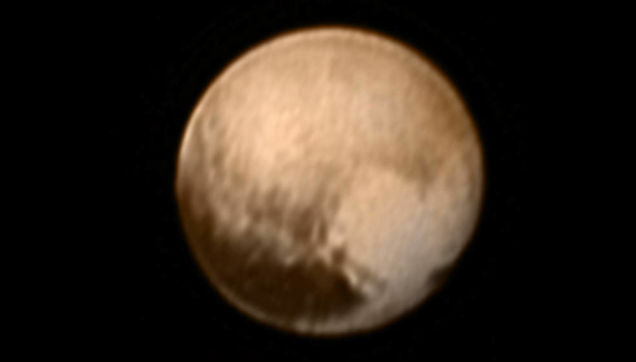 It’s the first new picture of Pluto since the technical glitch this past weekend. The image displays a distinct geological feature that’s very heart-like in its figure. Unexpectedly, the New Horizons spacecraft will be honing-in on this part during its flyby on July 14. This second image below was put together using imageries taken from June 27 to July 3 by the LORRI camera on New Horizons, alongside with low-res color data from the Ralph instrument. 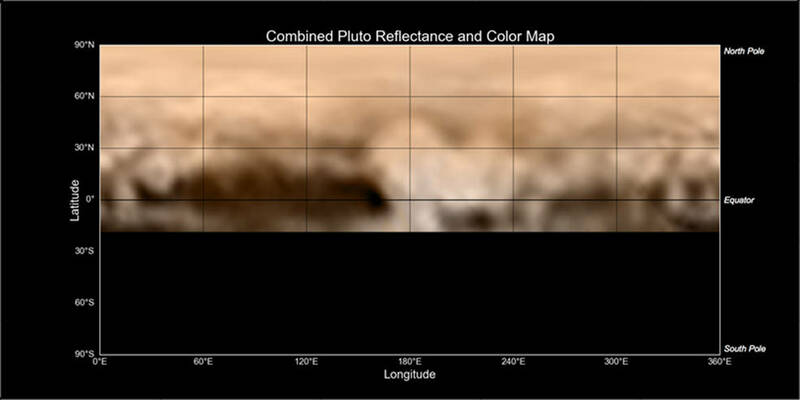 This whole-planet map is proposing scientists an extraordinary sight of Pluto’s dramatic surface features. "The elongated dark area informally known as “the whale,” along the equator on the left side of the map, is one of the darkest regions visible to New Horizons. It measures some 1,860 miles (3,000 kilometers) in length. Continuing to the right, along the equator, we see the four mysterious dark spots that have so intrigued the world, each of which is hundreds of miles across. Meanwhile, the whale’s “tail,” at the left end of the dark feature, cradles a bright donut-shaped feature about 200 miles (350 kilometers) across. At first glance it resembles circular features seen elsewhere in the solar system, from impact craters to volcanoes. But scientists are holding off on making any interpretation of this and other features on Pluto until more detailed images are in hand." This map is awesome—but NASA says we will get resolutions 1,000 times enhanced than this in the coming days and weeks.